Series charting how the First World War affected Britain. With the country unprepared for war, the whole population is enlisted to turn Britain into a war machine. 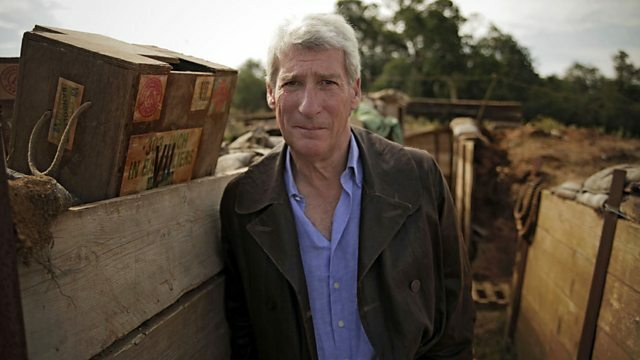 In the second part of his landmark series on how the First World War affected the lives of the British people, Jeremy Paxman describes the crisis facing the country as it becomes clear it is fatally unprepared to fight a modern industrial war. Now the whole population is enlisted to turn the country into a war machine; women fill the factories to make bombs and bullets, men are forced to fight at the front, and conscientious objectors are threatened with the firing squad and striking shipbuilders with jail. Even the beer is watered down on government orders. Britain is having to learn to do as it is told. Conductor: Philip Brunelle. Orchestra: Plymouth Festival Orchestra and Chorus.